Recent market turbulence in Argentina, Russia and Turkey has kept emerging markets fixed income investors on their toes. Some are now increasing their allocations to Asian debt in search of an improved risk–return profile. We explore the thinking behind this trend. Asian countries contribute a significant portion of global growth, yet, excluding Japan, they represent only 3.5 per cent of the weight of the Bloomberg Barclays Global Aggregate Bond Index – China’s current weight in the index is less than half that of the Netherlands. Yet the Asian fixed income market has developed rapidly over the past few years. The China local currency bond market is now worth over $9tn and, while foreign ownership of local Asian bonds is growing, it still comprises a fraction of the market in total. Investors in the region are no longer just talking about yield, they are now also looking for diversification and access to types of markets that simply do not exist elsewhere in the world. Calculations based on data 13/06/2013 - 13/06/2018 in USD. Return and volatility calculated using total return data, Sharpe ratio calculated from returns in excess of US T-Bills. Indices used: Merrill Lynch Asian Dollar, Merrill Lynch Global Emerging Market Sovereigns, Merrill Lynch US Treasury Master, Merrill Lynch Asian Dollar Corporates Investment Grade, Merrill Lynch USD Investment Grade Emerging Market Corporates, Merrill Lynch US Corporates Master, Merrill Lynch Asian Dollar Corporates High Yield, Merrill Lynch High Yield Emerging Corporates Plus, Merrill Lynch US High Yield Master II. Source: Thomson Reuters, Fidelity International, June 2018. Volatility has returned to emerging markets in 2018. The removal of liquidity by the major central banks, a strengthening dollar and rising US yields have all played their part in sucking money away from emerging economies back towards developed markets. There have also been a number of local events contributing to volatility, such as currency market pressure forcing central banks to aggressively hike rates in Argentina and Turkey, and US sanctions against Russia. Some investors have been looking East for a new growth story, increasing their allocations to Asian debt in search of a different risk-return profile than other emerging regions. Asian fixed income markets excluding Japan have seen the largest growth of any region globally since 2010 2. Calculated using Bank of America Merrill Lynch indices., bringing better liquidity and increased opportunities. And with China onshore bonds due to be added to Bloomberg Barclays indices from April 2019, many feel the time is right to review their allocations. So why are investors interested in Asia debt? The first reason is improved diversification. While Asian debt might not necessarily be lower risk than emerging markets debt, Asian bonds do offer a good mix of developed and developing markets, both at the sovereign and corporate level. Economies such as Hong Kong and Singapore are fully developed, but investing in the region gives access to partially developed economies such as China and Korea, as well as high-growth emerging markets like India. This diversity gives investors exposure to a greater range of secular and economic trends that could help shield portfolios from any acute shocks to a particular segment of the fixed income universe. Latest data available (December 2016), High, middle and low income are World Bank definitions. Source: World Bank, Fidelity International, June 2018. 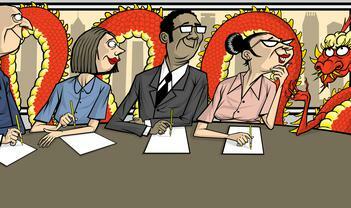 Asian economies are at a different stage of development than most global emerging markets. They have different sensitivities to interest rate cycles and because they are mostly net oil importers, they are not as exposed to commodity price moves as some emerging markets. An Asia allocation can play a complementary role to the core blocks of a fixed income portfolio, giving balance and lessening the skew towards Latin America and emerging Europe. The second reason is that growth in Asian debt market means investors now have access to many more opportunities than before. The Asian local currency debt market excluding Japan has grown at an annualised rate of over 15 per cent https://asianbondsonline.adb.org/regional/data/bondmarket.php?code=LCY _in_USD_Local_Total_ex_Japan since 2010. As the region has developed, the companies based there have grown in size. With that growth comes a greater need for debt to fund expansion. The banking system previously provided much of that funding but companies are now increasingly turning to capital markets, meaning that contrary to widespread belief, the growth of the Asian fixed income market has not just been driven by companies increasing their debt level, but rather more by the growing number of individual issuers coming to market. Investors now have a broader set of opportunities without necessarily increasing default risk. More opportunities, especially in the corporate investment grade sector, give institutional investors the chance to harvest the spread premium that Asian investment grade offers without the increased capital requirements required for high yield bonds. Thirdly, allocating to Asia can remove some of the more volatile economies in the emerging markets debt universe, particularly in Latin America and Africa. Many emerging market economies are commodity exporters meaning they are highly sensitive to fluctuations in commodity prices, while most Asian economies are net commodity importers. Asian economies also tend to have lower inflation, higher foreign reserves and more stable currencies. Equal weighted average YoY inflation. EM ex-Asia countries: Mexico, Turkey, Russia, Brazil, Columbia, Chile, South Africa, Oman, Kazakhstan, Ukraine. Asia countries: China, South Korea, India, Hong Kong, Indonesia, Philippines, Malaysia, Singapore, Thailand, Taiwan. Source: Thomson Reuters, Fidelity International, June 2018. 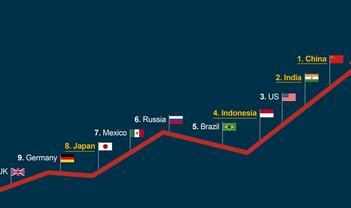 Lastly, allocating to Asia lets investors take part in a regional growth story unmatched anywhere else in the world. Many of the countries with the highest GDP growth are in Asia and this growth is supportive of government tax receipts and corporate fundamentals. Chart shows average yearly GDP over the past five years from June 2013 to June 2018. Source: Thomson Reuters, Fidelity International, June 2018. The market for Asian debt is still developing rapidly and there are some idiosyncrasies which can make investing more difficult. International ratings agencies have only been allowed to open wholly-owned subsidiaries in mainland China since 2017 and are still building a track record for the onshore market while ratings from Chinese ratings agencies tend to be more generous than their international counterparts. Like emerging market bonds, there is a degree of correlation between Asian bonds despite the differing economic, monetary and political cycles in their respective countries. The Asian debt market has changed remarkably since 2010 with a wealth of options. Over the past five years, Asian debt has broadly produced better risk-return characteristics than emerging markets, albeit at the price of being part of fewer local stories. One solution could be to increase the Asia allocation within a global emerging markets debt allocation, or to consider the two separately. Your view of Asian debt might also be influenced by your outlook on the economic cycle in these markets, especially interest rates. Asian bonds tend to have lower durations so they should see a smaller decrease in price than other assets in the event of interest rate hikes. 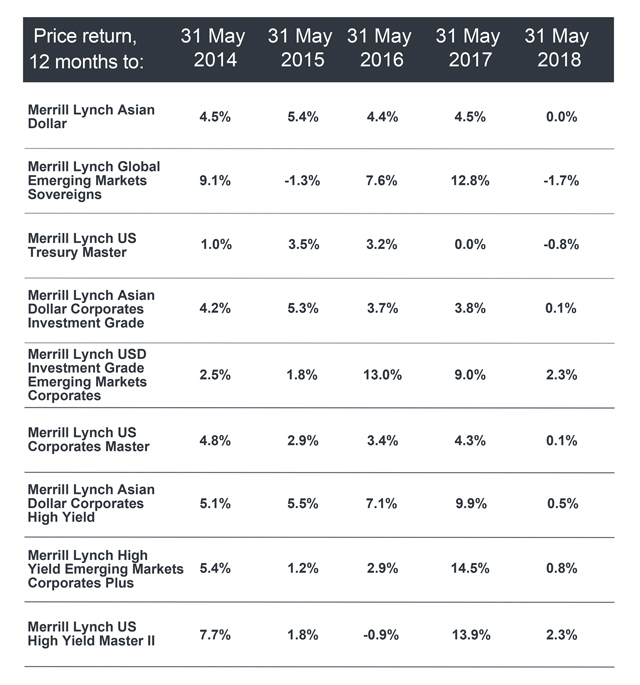 Effective duration of the Merrill Lynch Asian Dollar, Merrill Lynch Global Emerging Market Sovereigns and the Merrill Lynch US Treasury Master. Source: Thomson Reuters, Fidelity International, June 2018. Finally, whatever your view on the fundamentals of Asian debt laid out above, fixed income allocations that use popular bond indices as starting points for portfolio weights are likely to be underweight Asian debt, relative to the size of the economies covered. Although this will change with the inclusion of China onshore bonds, Asia excluding Japan’s weight still only stands to increase to around 8 per cent, a figure much smaller than the region’s economic might would suggest, given that it makes up 30 per cent of the world’s GDP according to the latest United Nations Bank figures. Asia’s representation is likely to continue to grow as capital markets in the region approach international standards and more bonds become eligible for index inclusion.